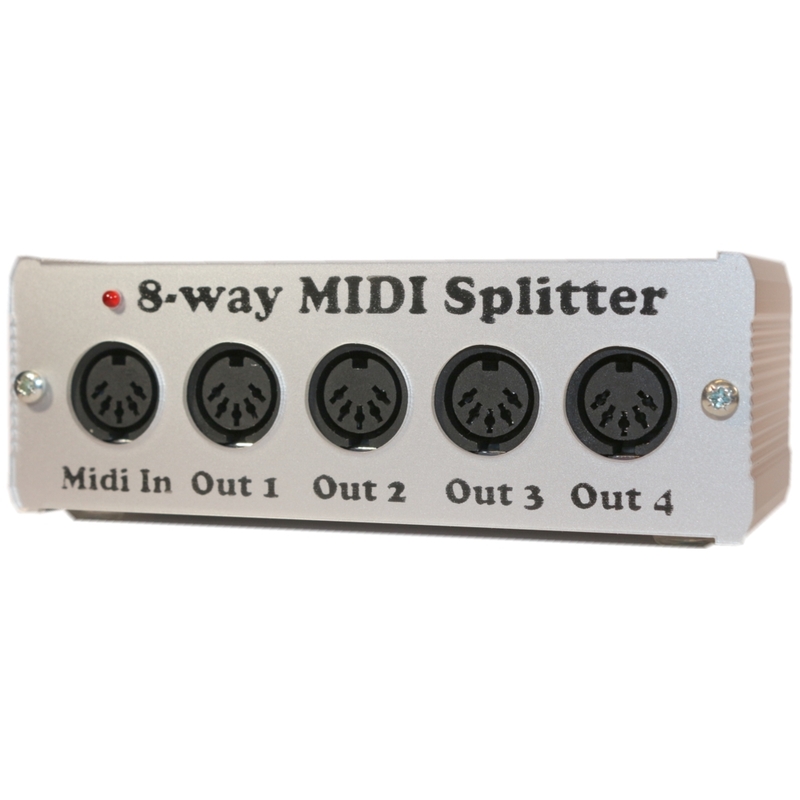 Midi splitter box with 1xMidi in to 8x Midi Out. External power supply 9 to 12V DC - 5.5 / 2.1mm standard polarity plus outside-minus inside. 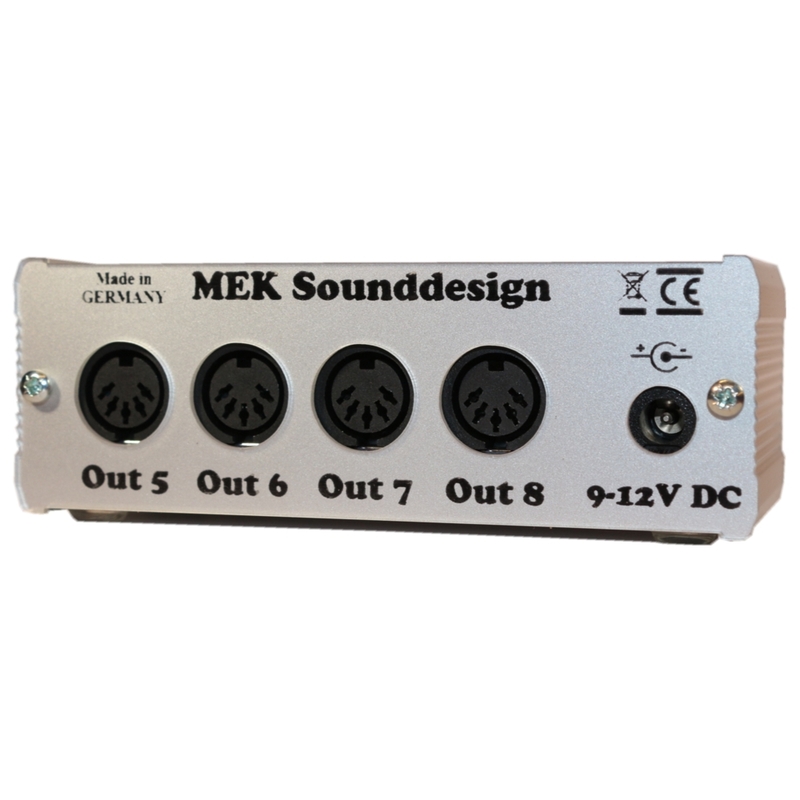 Sturdy aluminum enclosure with reverse front panels .